Today, social media is a key player in the job search process. 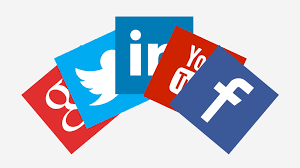 Social media websites like LinkedIn, Facebook, Twitter and Google + helps the employer get a glimpse of you outside your resume. To you they offer the opportunity to learn about the industry and the company you are interested in, lets you connect with former as well as current employees and industry experts. Social media is primary vehicle of communication today and because of that the communication is becoming public tuning in some recruiters and hiring managers. How Can Social Media Boost Your Job Hunt? LinkedIn is an obvious place where the employers look for professional profile. But, you can use every other medium of social media to demonstrate what you have accomplished, your strengths and what you have to offer to a potential employer. Connect with other professionals in your industry. Join groups to stay up-do-date about the happenings in the industry. Join those which appear active and vibrant and use them to introduce yourself to the industry. Let everyone in your network know that you are looking for a job. Answer questions, help others, and make introductions, post interesting content and become the giver. Be the giver, build the social capital and be known as a resource. Create an URL for your professionally drafted resume and add it on your LinkedIn and Twitter profiles. This gives the employer another opportunity to get in touch with you and adds a skill of being tech-savvy to your profile. It is important to have a plan when you are out looking for a job using social media. Do tasks one by one and not just choose a day and do everything on social media. Keep doing stuff to keep your profiles active and visible. Also, make sure you do not have anything posted that pulls your value down.